In update 1.2.0 of the Digital Grand no changes were made to the 25 GB sample data. Therefore we offer here the changed files (new NKI patches, new multis, new manual, etc.) for download. Download the file Digital_Grand_v120_Updated_Files.zip completely from your customer account (https://www.bechstein-digital.com/my-account/) (approx. 80.9 MB). Unzip it afterwards – under Windows and macOS simply by double-clicking. Move the unzipped directory Digital Grand 1.2.0 next to the same folder in which the folder of the previous version is already located. Navigate to the new folder Digital Grand 1.2.0 / Samples, and insert the 14 files there (Windows: CTRL+V / macOS: command+V). If necessary, the .nkx files (25.4 GB) of version 1.1.0 which are now available in copy, can be deleted. If you have created your own NKI instruments, multis or snapshots, we recommend that you also move them to the corresponding folders in version 1.2.0. In this case you can delete the entire folder of the previous version 1.1.0 as well. 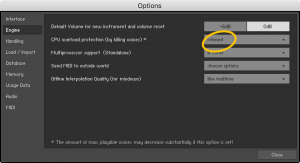 We actually do not limit the number of maximum voices in the C. Bechstein Digital Grand by default. It´s set to 500 in the version 1.0 NKI´s. Please adjust the maximum numbers of voices to, let´s say, 150-200 to avoid a too high CPU usage. 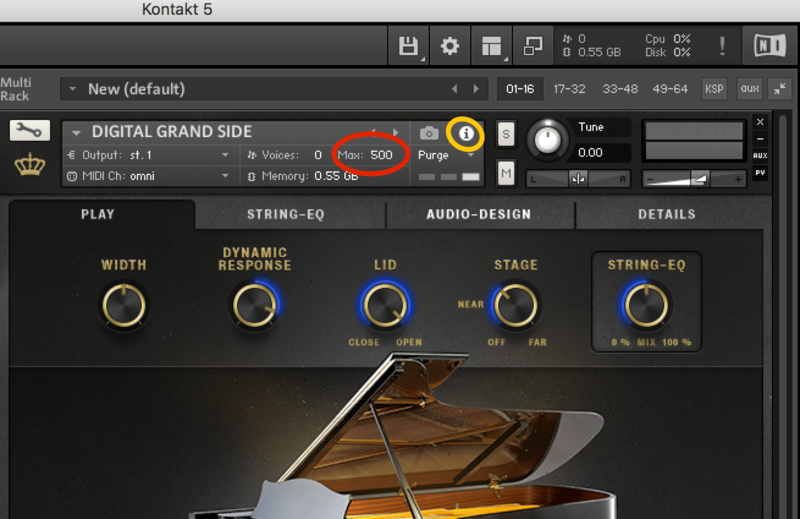 (Side note: in many other libraries, this number is either set down to a less lower value, or the number of voices will be trimmed by a Script in the background – we try to keep this functionality of KONTAKT as transparent as possible for the user). The Digital Grand offers up to 26 layered samples per key and a very high dynamic range that is up to 10dB more than on many other libraries we’ve tested. 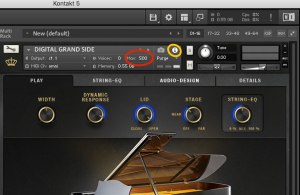 This makes the Digital Grand an outstanding tool for your arranging and post-production tasks – but it´s on the other hand not too easy to play (what also depends on the MIDI controller keyboard). So, we’ve implemented a feature DYNAMIC RESPONSE that can be tweeked from the DETAILS tab. Set the value from +20 (default) to 0 or less to make the Digital Grand easier to play, or better, to control. This setting also decreases the number of memory accesses and can help to optimize the overall performance.